This is a statement from all Kenya Sevens national team players of this season. In this statement, we give our side of the story and answer some of the unanswered questions. We are doing this for the love and respect we have for this game. We would also like to state that we followed the right protocols to see that concerns were addressed, and that we were left with no other option but to blank out the logo. The national team players (Shujaa) met Brand Kenya CEO together with the KRU CEO May 24 after Brand Kenya announced that they were coming in to sponsor Shujaa as the brand ambassadors to a tune of Sh20 million for a period of eight months. 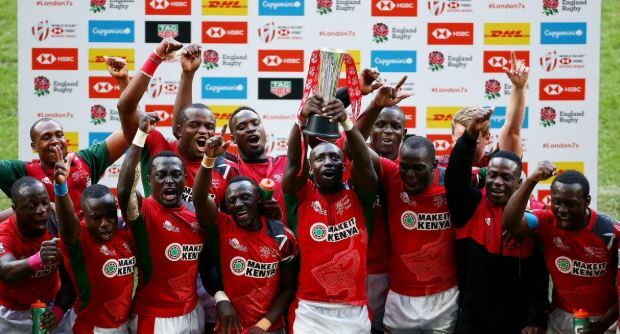 To add on this, the Brand Kenya CEO stated that they were giving each player a token of Sh100,000 in form of cheques in appreciation of the good work done this season. The KRU CEO interrupted and told Brand Kenya that it was easier to send the money to KRU first then to the players’ accounts directly as they have our account numbers. We didn’t see anything wrong with this as we were told the money would be in our accounts before we travelled for the London and Paris legs. We agreed to this as we had already been told by our team manager that our May salaries were going to be delayed and paid on May 7, so we knew the Sh100,000 was going to sort out a few bills as we waited for the salaries to be paid. We travelled to London before the money hit our accounts. Reaching London, the Team Manager informed us that the money would be in by May 31. We waited for Thursday but nothing reflected in our accounts. On asking the Team Manager, he said that he had been told there was a delay and that the money would reflect the next day. On Friday, nothing reflected in the accounts and we were told by the Team Manager that they had deposited the money that same Friday so we it would be there the coming Monday after the tournament. We decided to play the tournament with no hiccups, trusting that the money issue would be solved. On Monday May 4, we travelled to Paris and still nothing had reflected in our accounts. On asking the Team Manager for the reason, he said that he would have a solid answer by Thursday June 7, the time which we were supposed to receive our salaries. On Thursday, we had a meeting with the Team Manager and still, there was no answer from him. That was when we felt shortchanged by the union, hence the decision to blank out the sponsor’s name came about so that the union would answer the sponsors on why we hadn’t received our money, yet they had paid. Which at first was to be given as cheques but KRU insisted that it has to go through them. After that incident, we heard that KRU had a bank overdraft that they didn’t know of, and that’s when we understood why the KRU CEO insisted that the money go through KRU accounts. We were told that we would be paid when we returned home but up to now nothing has reflected in the accounts. We love doing what we do and it is with so much pride that we don the national team jersey and represent our country on the international rugby playing platform. It is unfortunate that what appeared to be an internal matter has degenerated into uncalled for hostility and demonisation of the players. We respect the institution. Respect is two-way. It is unfair to give us tags when all we are asking for is a tool to ensure that we do our work to the best of our ability. The issues we have raised are basic but crucial now and in future of this sport that we all love. Player welfare is key for us to move to the next level and we feel like this is what is holding us back and if it continues, we shall never ever play to our full potential and most upcoming players will never realise their dream fully. We feel like so much is demanded of us by the union but they aren’t even doing the bare minimum to make sure we focus on bringing in the results. We struggle to get training venues, our gym has very minimal equipment and these are just a few of the issues we have to go through and yet be able to compete with teams that are well taken care of. We would not like to antagonise anybody but a time has come for our side of the story to be heard and hopefully things will change for the better of the sport and future players. Below are the 19 players who have taken a joint stand to ensure that these issues of player welfare are addressed. We reiterate, we have never refused to talk and discuss with the technical bench or the KRU. We feel that we have not been unreasonable with whatever issues we have raised. We are not rogues, rebels or superstars. For most of us, rugby has been part of our lives and played a big role in helping us be role models in society, not forgetting the amazing support of the 40M+ over the years, in good and bad times. We would also like to state that t it was Shujaa’s decision to blank out the logo. It was a unanimous call by everyone in the setup, so we expect no name-calling of individual players and victimisation of any player or management by the KRU. We hope that this will be resolved soon as the game we all love has to continue.